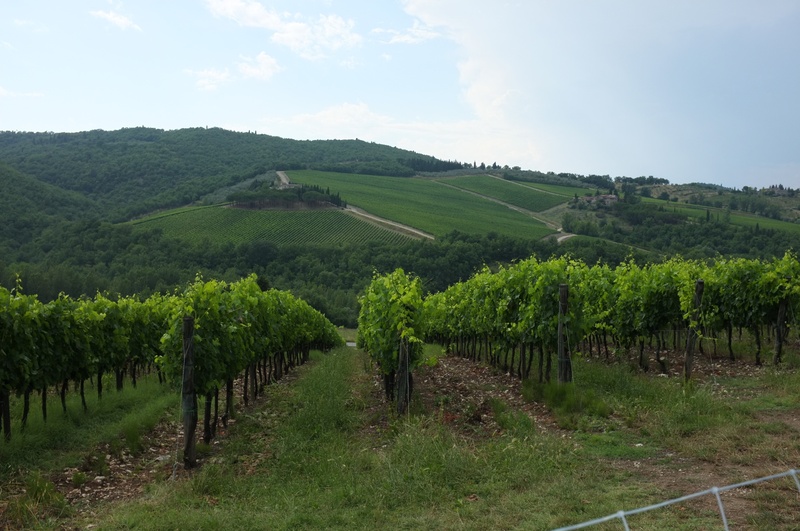 On the way back from Siena the the other day – or was it yesterday? We saw a place that had a pile of umbrellas on terraced land and pulled off the road to investigate. I thought it was a really nice hotel with a fancy pool, but it turned out to be just a fancy pool. It is called Aqualis and is on the site of an ancient mill. 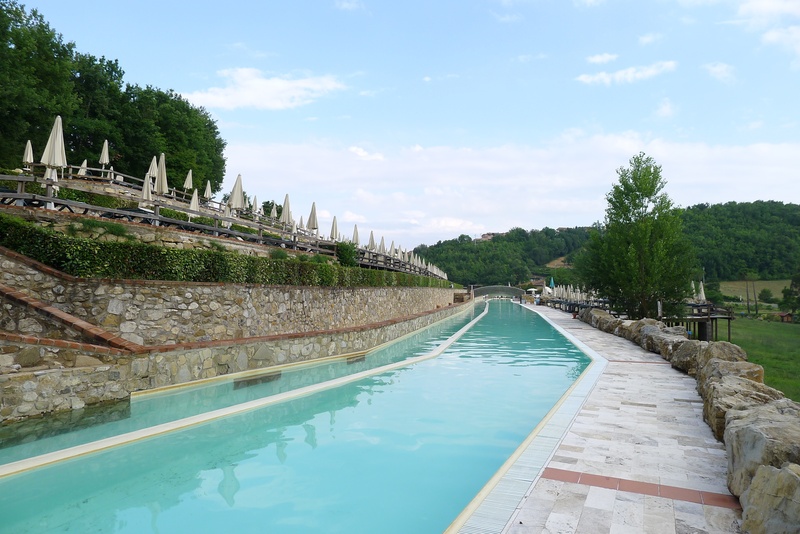 It has been restored along the existing footprint and is a series of 7 pools that all interconnect into one another, with one of them being a 150 metre long ‘river’. Unfortunately we arrived just as it was closing which was too bad. We were all super hot and a late evening swim would have been heaven. So we put it on the docket for today, after our visit to Greve. Who cares if a tropical storm just passed through the area? 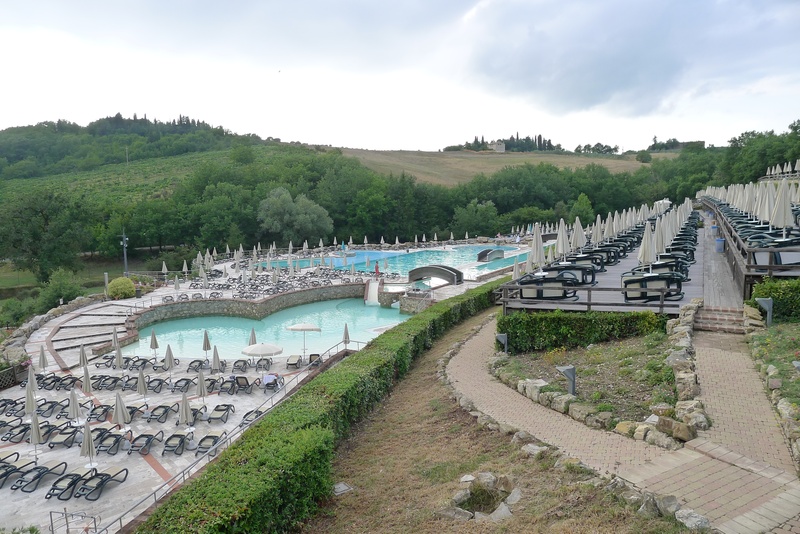 There was no way that either of the kids was going to give this a pass, so back into Stinky for the drive south on that loveliest of roads, R222, the Chianti Wine Route. 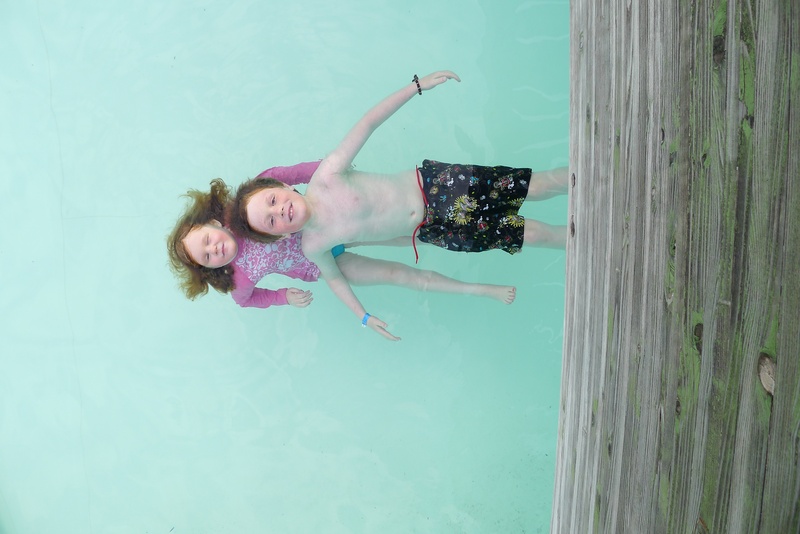 With the exception of three other parties (one of whom wasn’t swimming) we had the place to ourselves. The capacity of this place would be several hundred people, so it was pretty awesome. There are bridges spanning the different pools that connect each area if you happen to be on land. Otherwise you can just swim from one to the other. The first picture below is of the kids passing under a bridge that I am standing on. They are swimming down the 150m river.